Tlachtga, The Founder Of Samhain? Stories of the mythology of Tlachtga seem to form the heart of the sacred flame that we have reverence towards at Samhain, and even to the bonfires we may light from this flame, but few know of her name. The Hill Of Tlachtga near Athboy in Co. Meath has an exceptional heritage in the druid tradition linked to Samhain, pronounced many ways though mainly something like soo-win or soo-waan. Many people just call this Halloween. On Ordnance Survey Maps as the Hill of Ward, The Hill Of Tlachtga is about 12 miles from the Hill of Tara. A sacred fire festival has probably been held there since the time of the Tuatha De Dannan high king Lugh, about 3500 years. Some of the mythology of the Jack O'Lantern may well have originated from here. 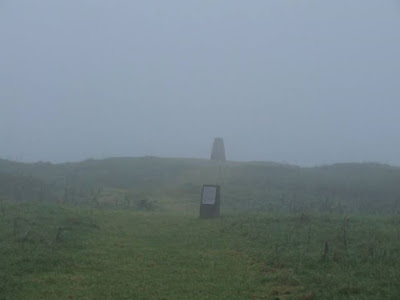 Here I share some of the inspiring stories I have heard about Tlachtga and her father of many variations of names, most common appearing to be Mug Ruith ... though perhaps best known may be Merlin? Many 'friends' said they like my Oak Tree picture. I know because they clicked ‘like’. Some clicked, ‘wow’, ‘yay’, and even ‘sad’ by mistake. Including many people who did not click ‘like’. Telling me it really is the tree of life. 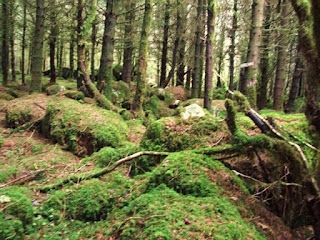 A Facebook friend, Boris Achenbach, brought to my attention a picture and introductory story about the Forest Of Dubhris featured on the Facebook Page of Celtic Mythology . 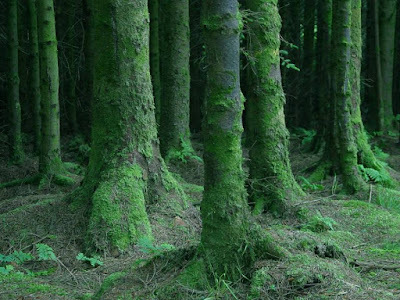 The FOREST OF DUBHROS was the Dark Forest of County Sligo. In it grew a wonderful quicken rowan tree. 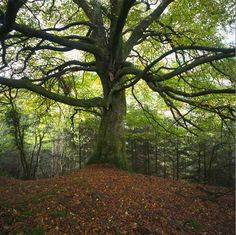 It happened one time after the tree was grown, there were messengers of the Tuatha de Danann going through the wood of Dubhros. And they heard a great noise of birds and of bees, and they went where the noise was, and they saw the beautiful Druid tree. They went back then and told what they bad seen, and all the chief men of the Tuatha de Danaan when they heard it knew the tree must have grown from a berry of the Land of the Ever-Living Ones. And they enquired among all their people, till they knew it was a young man of them, that was a musician had dropped the berry. Lovely symbolic story that I feel we could apply to many conditions, many stories, of our own lives.